Investing in Real Estate has been beneficial to the investors as you can expect huge profits once you sell the property successfully. Real estate investment can be made in several ways, such as REIT’s, co-wholesaling, house flipping & renting. You can also use the property as a security to avail bank loans. You can avail these loans for starting independent establishment in which you are good at. Apart from this, you can also deal in real estate for commercial purpose. The Private equity real estate is one of the ways to invest in real estate. DC Fawcett lists out the benefits to investing in the private equity real estate. In the investment finance domain, the private equity real estate is an asset class. It has equity and debt investments in terms of property. Investments that are made in private equity real estate fund are a collective investment scheme that pools capital of the investors. These funds last for ten years in which you have to invest for only two to three years. The properties are on hold during that time in which the active asset management will be carried and the properties are sold. Here are the benefits of investing in private equity real estate. 1. The Private equity real estate is not dependent on the stock market, unlike public real estate products, though the investments are attractive. The rise and fall based on what is happening in the economy affect the events that are not connected to real estate. 2. Risks are lesser in the private equity real estate as it gives one of the most effective options to the investors, because of its diversity in investment. If one of them doesn’t work out, it does not affect others. 3. 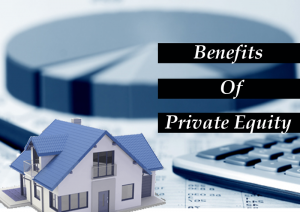 The Private equity real estate funds are considered as the most beneficial way of getting exposure to private real estate equity. The most successful and capable investors depend on this source to increase their real estate equity funds. 4. There is no need for the investors to worry about the property location or its growth potential as the fund manager takes care of these things. Also, the investors need not undertake the paperwork or search for the buyers or the tenants as the fund manager handles these issues and spreads out the risk by investing in different prospective projects across many locations. 5. Builders have often got into trouble when they fall short of money to sustain the ongoing project. That is the time; the real estate private equity funds have more advantage. The fund manager coordinates with the project from the very beginning phase of the development. The net profit made on the completed projects is the returns obtained as an upside. Before taking the step to invest in private equity real estate, one needs to analyze whether they are in a position to do so. The qualified investor would explore their investment in the real estate market.